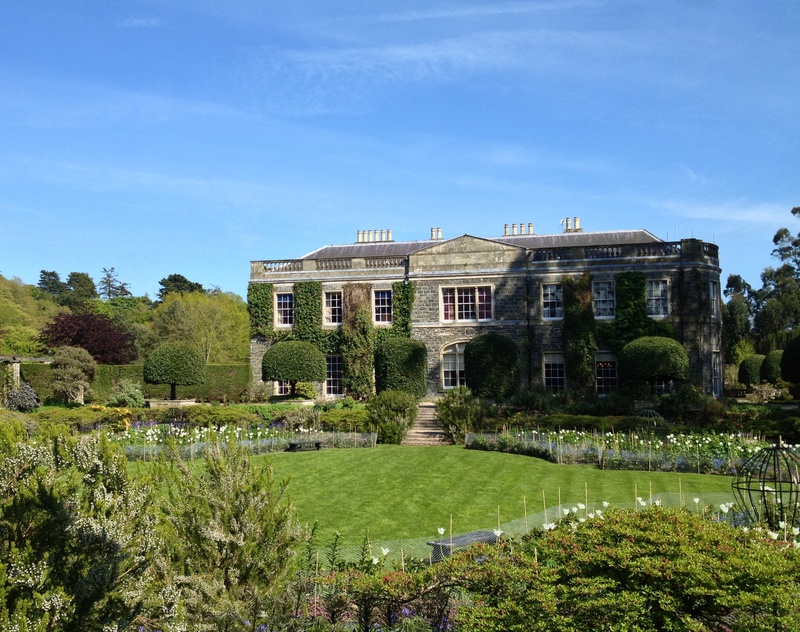 The west front of Mount Stewart, County Down speckled in sunlight last weekend. This was the original entrance to the house designed c.1804 by English architect George Dance the younger. Some thirty years afterwards Mount Stewart was greatly enlarged by William Vitruvius Morrison and Dance’s work relegated to being a mere wing. The elaborate gardens are of a later date, created by Edith, seventh Marchioness of Londonderry between the two world wars (see In Circe’s Circle, November 28th). Now in the care of the National Trust they have recently benefitted from extensive replanting. This entry was posted in Architectural History, Country House, Down, Irish Garden and tagged Architectural History, County Down, Georgian Architecture, Irish Country House, Irish Garden, Mount Stewart, Stately Home, The Big House. The Londonderrys had a most beautiful swimming-pool across the main road from the house. Charles Villiers and his sister an album full of photographs of enjoyable times on hot days at the swimming pool. The last summer they used the pool daily, as opposed to intermittently thereafter, was 1977. Their grandmother was Lady Mairi Bury. During his childhood and school-days, they spent huge amounts of the holidays at Mount Stewart – pretty well every Christmas and New Year, a month every summer (much spent at the pool), and occasional Easters. Charles’s grandmother gave him driving lessons in her lime green Rover (with bright orange interior) on the estate roads. Most interesting, thank you so much for sharing this information – one always appreciated anecdotes such as yours.